Teenagers are insightful and upfront creatures. The 16 year old pours scorn on my whole food diet. I think part of this reaction is that he is in a stage where he enjoys being anti pretty much anything I like! He thinks many of the food products I buy are “hipster and try hard” so he took some convincing to even try this chocolate buckini slice. I told him it tasted like chocolate crackles and the 14 year old who had tasted it before him agreed with me so he took a piece, cautiously took a small bite, then ate the rest of it immediately. “It really does taste like chocolate crackles, I thought you were just making that up” he told me. I wasn’t. 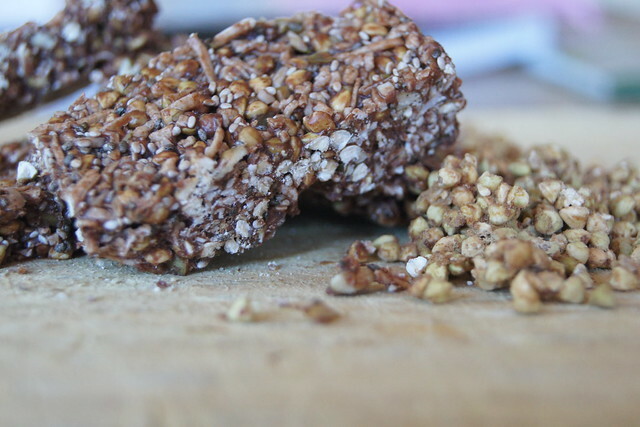 It really does taste like chocolate crackles and while it is full of lots of healthy ingredients, it is a sweet treat and should be eaten as such. Thankfully the slice freezes very well so you can package it up and put some in the freezer to put it out of temptation’s way. 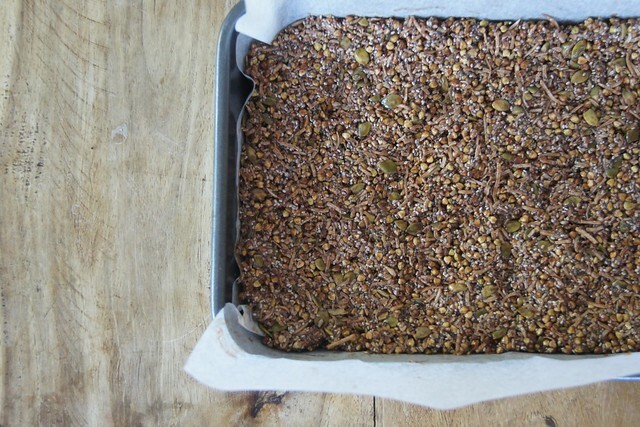 Along with tasting delicious it is super easy to make. 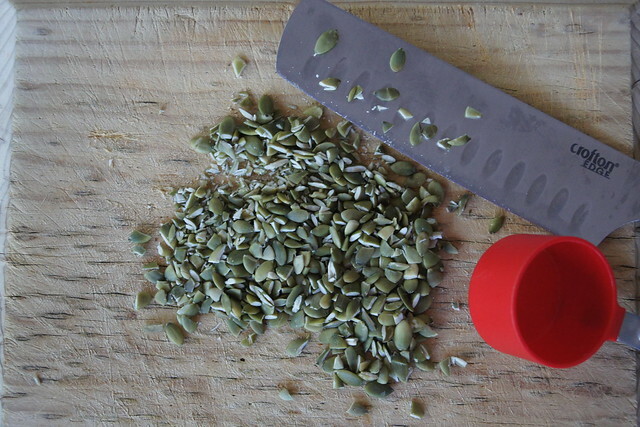 If you are okay with full pumpkin seeds in your slice, you wouldn’t even have to do any chopping for this recipe. I prefer them in smaller pieces so chop them up first. 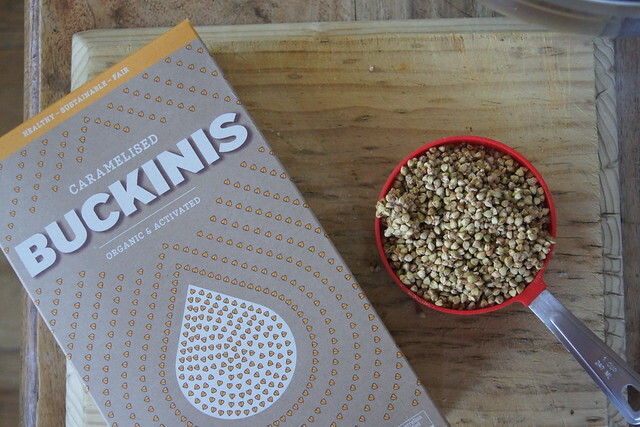 I used Loving Earth Caramelised Activated Buckinis for this recipe. They are good to eat straight out of the box too! Then it is just a matter of combining the dry ingredients and then the liquid ingredients. And mixing them together before placing in a tray and into the fridge for a couple of hours to set. You could easily spoon out the mixture into patty pans and make them just like you would chocolate crackles. Just like chocolate crackles, this slice is best kept in the fridge. Line a tray with baking paper. Tray size was 26.5cm x 16.5cm. Roughly chop the pumpkin seeds and place into a large bowl mix. 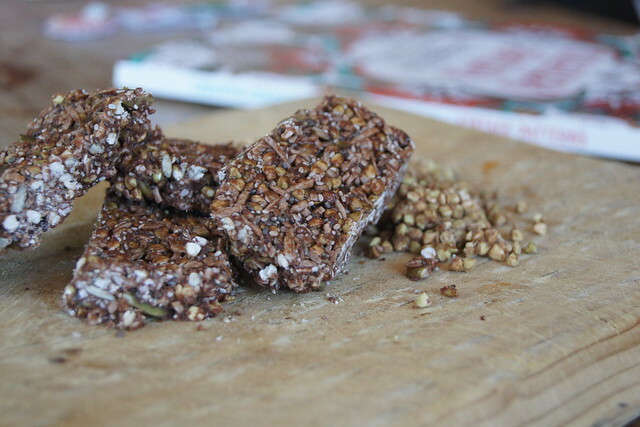 Add the buckinis, shredded coconut and chia seeds. 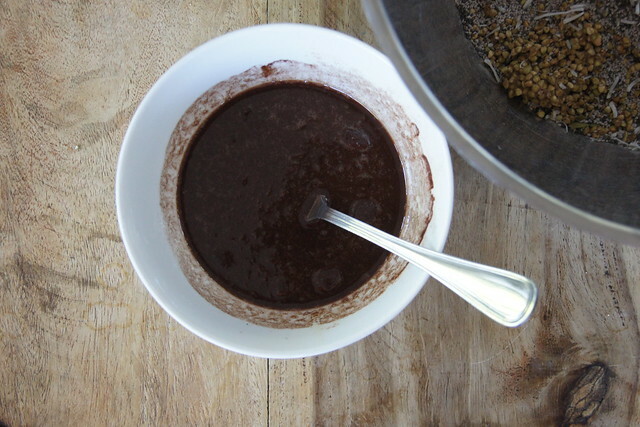 In a small bowl add the melted coconut oil, maple syrup, cacao powder and whisk with a fork. Pour the coconut oil mix into the large bowl and mix it with the dry ingredients. Pour the mix into a tray and press down firmly. Place in the fridge to set for about two hours. Cut into bars once set. These bars keep best in the fridge. You can make them in patty pans just like chocolate crackles! Do you eat buckinis? Do your teenagers require some convincing to try new foods?